So the other day I got a little bored so I decided it was a good idea to dye my hair. What color though? This was the big question amongst me and my friends. I have done dark i have done super dark and I have accidentally done red (it wasn’t a pretty time). So my friend Sydney threw out an idea I hadn’t ever thought of before; “Why not blonde?”. 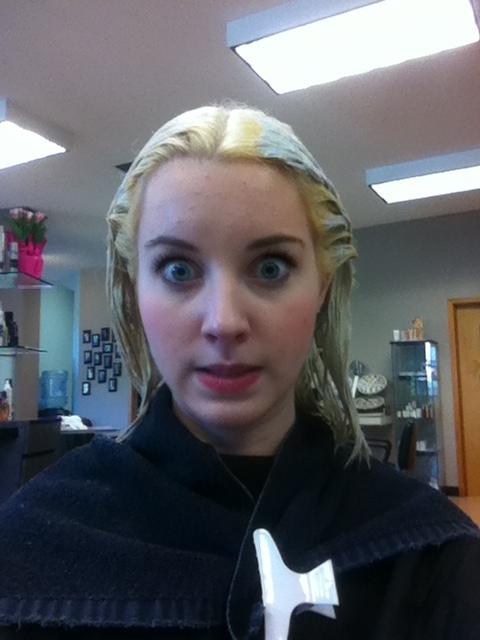 Oh… blonde…. OKAY WHY NOT?! 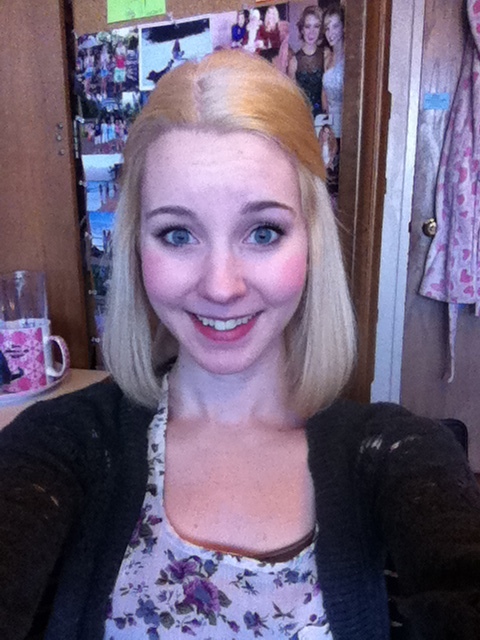 So I bleached my hair! Luckily she wasn’t mad she just wished I would have asked her to take me to a professional in the first place. oops. So she took me to the salon and I had a wonderful time and my hair is now a beautiful blonde color! And even better in about a month I get to go back and bleach it even further to a platinum blonde! Here is me sitting in the salon being a goof with the cool blue bleach in my hair. and here is a half way decent picture of me after the salon! BLONDE!! Moral of the story today children if you want to go platinum blonde go to the salon and get it done by a professional or else you will turn out like me with orange hair with lots of split ends! !